Having trained as a secondary music teacher, Angela has been privileged to have taught most year groups from Reception to Year 8 and is passionate about the importance of enabling every child to flourish by providing an inspirational and excellent education. Whilst ensuring that there is a rigour and high expectation for all in reading, writing and maths, she understands the benefits of a broad curriculum that develops the whole child. Angela has a personal enthusiasm for music and the arts (BA Hons. in Music) . She also understands the importance of spiritual, social, moral and cultural education. Angela studied RE at Birmingham University (M.Ed. 2005) and serves on the Hereford Dicoesan Board of Education and Hereford SACRE. She has been privileged to be a SIAMS inspector since 2011. Having grown up in Wolverhampton, she is eager to open children's eyes to a bigger world and is committed to inclusion and diversity. She has been instrumental in promoting local links with schools in Tanzania. Angela has been the Headteacher of Kingsland CE Primary School in Herefordshire for over ten years and during that time it has retained its Ofsted 'Outstanding' in all areas rating (October 2007). SIAMS inspections (April 2015) have understood Kingsland CE Primary to be 'outstanding' in all areas. As a National Leader of Education, Angela is eager to encourage and enable colleagues to identify and respond effectively and confidently to the unique needs of their schools; rejoicing and building on all that is good. Since qualifying as a teacher over ten years ago, Stewart has taught in both primary and middle school settings. Now, as the deputy headteacher of an “outstanding” primary school and Teaching School Alliance, he plays an integral role in school improvement, offering support and expertise across KS1 and KS2. 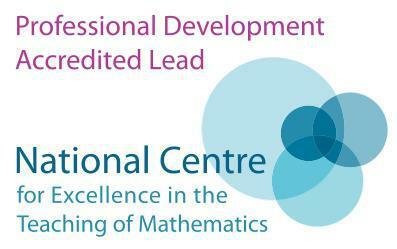 He has been a Primary Mathematics Specialist Teacher (MaST) since 2012 and has recently qualified as an NCETM Professional Development Lead teacher, working closely with the Salop and Herefordshire Maths Hub, through the Primary Mathematics Teaching for Mastery Specialist Programme. He leads by example, rigorously ensuring the highest possible standards and expectations are maintained and built upon. With a background and passion in music (BMusRNCM), Stewart understands the impact a broad and varied curriculum brings to developing the whole child. As leader of assessment, he has a deep understanding of Assessment for Learning strategies, as well as data tracking, and the requirements for KS1 and KS2 national tests. Stewart is passionate about sharing good practice and developing leadership skills through his role as an SLE. Sue qualified as a primary teacher in 1999 with a specialism in Early Years after previously running her own pre-school and tutoring on the Diploma in Pre-school Practice and Level 2 and 3 in Childcare and Education. After teaching Years One, Two and Reception in a Hereford school Sue joined Kingsland School in 2003 as Reception teacher. She is dedicated to providing a stimulating and fun learning environment in which children thrive and achieve well. As an experienced SENCO Sue is in prime position as an Early Years teacher to identify potential barriers to learning. Children with Special Educational Needs (SEN) are assessed, access early interventions and continue to make very good progress and attainment throughout KS1 and KS2. Sue has completed a Post Grad.Dip. in Special and Inclusive Ed and has recently completed Level 7 Diploma in Assessing and Diagnosing Dyslexia and SpLd. Steve qualified as a Sports Coach in 2005 and went on to complete his QTS in 2011 with his specialism in Physical Education. Steve has completed many different coaching badges ranging from football, rugby and cricket (level 2) to a helms award. Having been a trainee student at Kingsland School, he obtained a full time teaching position at Kingsland in 2012 after a year of teaching at a primary school in Worcester. In his time of teaching he has always been in the privileged position of being the PE Co-ordinator. He has a huge passion for sport and truly believes that there is a sport suited to everyone and children need to be given the desire and ambition to pursue their interests. Since arriving at Kingsland, the school has progressed to receive the Gold Standard Award for the provision of sport by the national School Games criteria. Beth is a senior leader (NPQSL), English Leader and Y5/6 teacher in an outstanding primary school and Teaching School Alliance, with extensive experience of assessment and KS2 SATs. She has twenty years of primary teaching experience, is passionate about developing children’s love of all aspects of English, and enjoys supporting other teachers and curriculum leaders in their role. Beth believes in the powerful impact of philosophy as an integral part of teaching and learning and that ‘deep thinking’ not only develops speaking and listening skills, social skills and confidence, but also supports academic learning. Beth has been an LA moderator of KS2 writing for the last two years, has been involved with supporting teachers and helping raise standards in a school-to-school support role and regularly delivers staff CPD in English. She leads by example and is dedicated to continually raising standards.